Home > ViewPoint > ViewPoint: Compromise; Good or Bad? Compromise according to the Oxford dictionary is defined in two ways. One is “An agreement or settlement of a dispute that is reached by each side making concessions”. The second is “The expedient acceptance of standards that are lower than is desirable”. The first definition talks about both sides making concession that is, reaching an agreement, some sort of deal. The second one is quite clear; it talks about where one has to accept a lower standard. If you are reading this blog for the first time, welcome. Let me tell you a little bit about ViewPoint. ViewPoint is a blog series that is featured every first Monday of the month. It brings together the opinions or “viewpoints” of people on subject matters. Basically I would ask some people their thoughts on a particular issue or matter and compile them for you all to see. The aim of this is to realize how people think and to appreciate the diversity of thoughts. Let’s get back, shall we? Humans compromise and in a way it helps to get along with people. Basically, it helps in our day to day interactions with people, whether friends, spouses, significant other, relatives and so on and to somehow avoid conflicts. One day, I thought to myself, “Is compromise a good thing or a bad thing?” This question came from happenings around me. I would look at something and be like, “compromising wouldn’t be bad, it could actually help, a win-win situation and doesn’t hurt” and then another time I’m like “No way, compromising is certainly not an option”. So I decided to bring this topic into ViewPoint. I sought the opinion of nine (9) people, which were quite interesting and some enlightening too. As per the usual, they will remain anonymous. Here’s what they all had to say. “I think it is both good and bad but I’d speak from my life or aspect. Compromise is “not a good thing”. Each time that I’ve had to compromise, I’d not have peace of mind, would have regrets sooner or later, get mad at myself, it makes me more lazy and procrastinate more, and whether we like it or not compromise makes us indecisive and also comes with low self-esteem in the sense that you can’t be disciplined with a decision or something you want to stand on. “Compromise can be seen as a sign of selflessness or a sign of weakness. It is two sides of the same coin. It’s when two or more parties try to find a common ground from which they can operate. So you essentially give up part of your demands or “standards” to suit the other party. Compromise in itself is neither good nor bad (I think) but I believe it’s the reason for the compromise that can be categorized as being good or bad. “Compromise to me is taking down your standard just to suite someone else or yourself maybe because of pressure. Compromise is a bad thing because you are losing your strong belief about a thing and lowering your standard to fit in. See also: ViewPoint: Success – What’s your idea of success? “Compromise is nothing but disloyalty to your core values and personal standards. Probably because of what people might think of you or you need to get something from someone. It’s not just bad…it is demonic. “I believe in anything that would maintain the balance of peace in the world e.g. You cut a tree, you grow 10 more, America entering a deal with Iran to protect nuclear war. Why do we compromise? To avoid conflicts and to better move on with things that are important. China and America aren’t friends but they compromised because they knew they needed each other in very different ways. “Compromise is when two or more people are involved in something and each person settles maybe by one giving up something. About compromise being good or bad, it all depends on the situation involved. Compromise is never good or bad, it’s more like in-between. “Compromise is like bending to achieve something. There is a flip side though. When you bend too much, you break. Sometimes you don’t know if you are bending or breaking because in the course of bending, you might break. So you just have to know your limit. you can compromise on different thing, such as relationship, career, belief system, religion, health and so on. I won’t say compromise is bad or good. it depends on the situation. Why are you compromising? What are you compromising on? Most times, compromising always has to do with lowering your standards, cutting out something. “Compromise is more like reaching an agreement where both parties have to give up something for what they want to work. It’s like getting to a middle ground about something. Would I say it’s good or bad? I think it depends on what is at stake. Usually with compromise, someone gains more. For the person who doesn’t gain as much, he/she will lose something. Is what is being lost something that can be dealt with? If yes, then in this case, compromise isn’t a bad thing, it made everyone get something. On the other hand, if what the person will lose is something that can’t be dealt with, compromise in this case is bad. One thing I realize with all these viewpoints is that the definition of compromise might not be exactly clear. It could mean one thing for this person and another thing for another person. Also compromise could depend on the values or standards you have. I still find the topic of compromise to be an interesting one and I’d love to read your thoughts on it too in the comment section. Is compromise a good or bad thing? This is a very beautiful read. 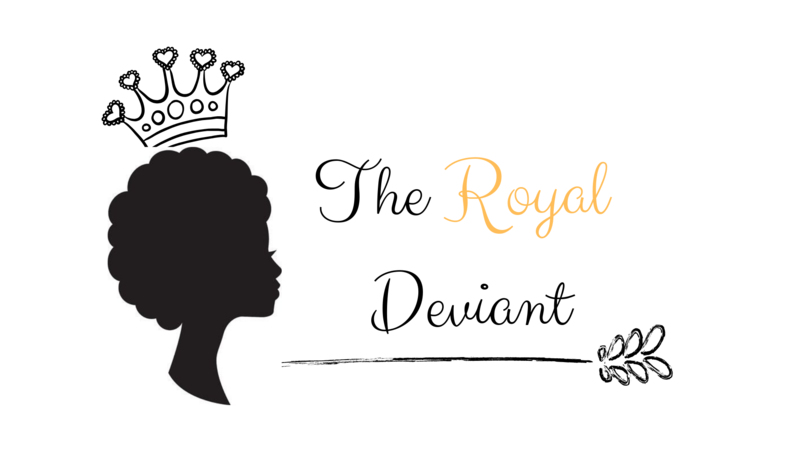 Thanks Royaldeviant. Compromise can be good or bad depending on the situation. Sometimes compromise helps to foster peace and unity while other times it actually stands in the way of progress. We just have to know when or when not to compromise. Personally, I don’t think there’s a yes or no answer to it. It could depend on the situation, the person involved and how often you’ve found yourself compromising for that same person or in that same situation. Interesting… So usually if you compromise for someone a lot, there’s a high chance it’ll continue. Sister Nakas you’ve become a professor always bringing bright Convo! I like your take. What’s the difference? I love the way you addressed this topic. And the views… wow wow wow! Why am I just seeing this? Thank you!